Thoracic Spine Treatment In Delhi, Chest Wall Pain Treatment In Delhi. Be referred from the neighbouring areas and structures such as abdomen, cervical spine. Chest wall pain can originate from any of the chest wall structures including bones, joints, muscles, cartilage, ligaments, tendons, nerves, skin and soft tissue. It generally increases with arm movement and is accompanied by localised tenderness. Nerve injury or damage as a result of surgery, trauma or otherwise. The treatment will depend on the cause of pain. A multi disciplinary approach using a combination of medications, physiotherapy, psychology and injections is the preferred approach. Please follow the links to read more about these. Nerve root block involves injection close to the nerves as they come out of the spine. It is used in conditions where there is compression/ pressure on the nerve as it comes out of the spine. This injection helps in delivering maximum drug close to the area of actual pathology- disc bulge/ nerve compression with a favorable response especially if the procedure is performed soon after the onset of symptoms. The needle is placed under x-ray guidance and a dye (contrast agent) is given to check needle position prior to giving the local anaesthetic and steroid mixture. These injections can provide diagnostic information and therapeutic benefits. Epidural space is present in the spine around the sac containing the spinal cord and the nerves. It extends from the back of the head to the bottom of spine. Epidural injection involves placing a needle in this space under x-ray guidance. A dye (contrast agent) is used to confirm needle placement before a mixture of local anaesthetic and steroid is given. The level at which the injection is performed will depend on the actual pathology site and the pain distribution. Thoracic epidural - Indications for this injection include mid back, chest or abdominal pain. It is performed at mid back level between the shoulder blades, under x-ray guidance. Caudal epidural is performed for back and leg pain. It involves a x-ray or ultrasound-guided injection close to the lower end of the spine near the tailbone. Spine has many vertebrae and these are linked to each other by small joints called facet joints. The main function of these joints is to provide stability while allowing some degree of movement. These joint commonly become painful and stiff as a result of wear and tear, inflammation or injury. 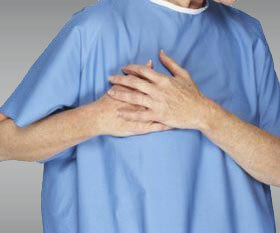 The resulting pain is generally described as a dull ache, heaviness that may radiate along the chest wall. Investigations such as x-rays and MRI may or may not show joint changes. It is important to understand that even if these investigations show wear and tear/arthritis, not every arthritic joint is painful so MRI alone cannot be relied on to make the diagnosis. A more reliable test, to determine if these joints are responsible for your pain, is accurately placed injections and if the pain reduced significantly then these joints are the likely source of pain. Injections for facet joints can be done under x- ray or ultrasound guidance as a day case procedure. The procedure involves placing needles at precise location under x-ray guidance followed by injection of a mixture of local anaesthetic and steroid. Most people tolerate this procedure well under local anaesthesia. It may take a few days and sometimes weeks for the full effects of the injections to become apparent. These injections are used as tests to diagnose facet joint pain and assess whether the radiofrequency treatment will be beneficial or not. The targets in these injections are the nerve carrying the pain sensation from the facet joints (compared with the joints themselves in the facet joint injections). The procedure involves placing small amount of local anaesthetic at specific locations under x-ray guidance. The resulting nerve block temporarily abolishes the pain if the source of pain is the facet joints. 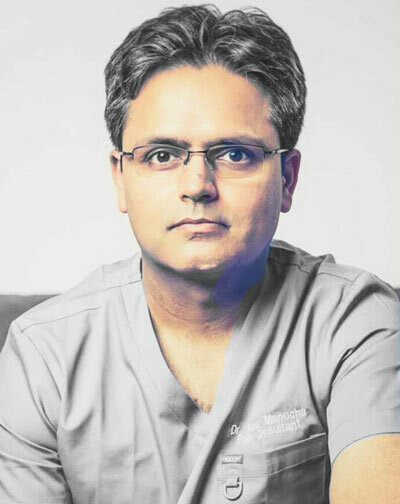 Decision to proceed with radiofrequency is taken based on the degree and duration and of pain relief obtained from these diagnostic injections. These are performed under ultrasound/ x-ray guidance as an outpatient or day case procedure. The procedure involves injecting a mixture of local anaesthetics and a small dose of steroids. The steroid acts around the area it is injected and does not have the same side-effects as taking oral steroid tablets. Ultrasound helps to visualise the spread of drugs and reduce the chances of complications as the needle can be kept away from important structures such as lungs. Intercostal nerves and run in between two ribs to supply the chest wall. They carry messages from the chest wall to the brain and vice versa. Indications for intercostal block can be diagnostic or therapeutic. The procedure involves injecting a mixture of local anaesthetic and a small amount of steroid under ultrasound guidance. It the area involved is large then more than one nerve block may need to be performed. Ultrasound helps to visualise the spread of drugs and reduce the chances of complications as the needle can be kept away from important structures such as lungs. Pulsed radiofrequency treatment can be performed to prolong the considered to prolong the effects of the injections. Dorsal scapular nerve originates from the neck (cervical spine) and travels between various muscles to reach the inner border of the scapula. Nerve entrapment/ injury can happen anywhere along the path and is more commonly observed in people performing regular overhead activities like painters, weightlifters etc. Patients present with pain over the medial border of the scapula or along the side of spine in between the shoulder blades (interscapular area). Sometimes the pain can be referred to shoulder, arm or forearm. Pain may be accompanied by weakness and atrophy of the muscles supplied by the nerve. The nerve block involves giving local anaesthetic and steroid mixture around the nerve under ultrasound guidance. Ultrasound helps to visualise the nerve, monitor the spread of drugs around the nerves and reduce the chances of complications. Nerve block is used in combination with physical therapy and medications for maximum benefits. In required pulsed radiofrequency treatment can be used to prolong the effects of the block. Pectoral nerve blocks or PECS block can be considered for persisting pain after breast surgery. These injections are performed under ultrasound guidance. Serratus plane block is useful in conditions such as pain due to multiple rib fractures. These blocks are more often used in acute pain situations. In chronic pain conditions they are used for diagnostic purposes and to break the pain cycle enabling patients to start physiotherapy. Muscles ability to contract and relax plays an important role in body functioning. When muscles fail to relax, they form knots or tight bands known as trigger points. In simple words trigger points are irritable areas/ bands of tightness in a muscle. Pressure over a trigger point produces local soreness and may refer pain to other body parts. Common causes include inflammation, injury of the muscle or the neighbouring structures. Poor posture and repetitive strain are other predisposing factors. Trigger points can limit the range of movement; affect posture predisposing other areas to unaccustomed strain. They are more commonly observed in head, neck, and shoulder muscles. Trigger point injections are performed in an outpatient/ day-care setting and the procedure involves injecting local anaesthetic with or without a small dose of steroid into the painful muscle. The local anaesthetic blocks the pain sensations and the steroids help in reducing the inflammation, swelling. I prefer to perform these injections under ultrasound guidance as it improves the accuracy and reduces the chances of complications. Post injection physiotherapy is essential to prevent recurrence and maximise the benefits.